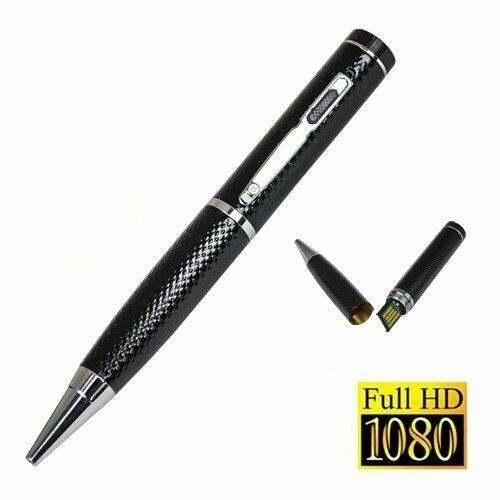 Spy pen camera - 4 GB memory - unique spy shop products for best price. ISO EN 9001:2008 certified online seller. 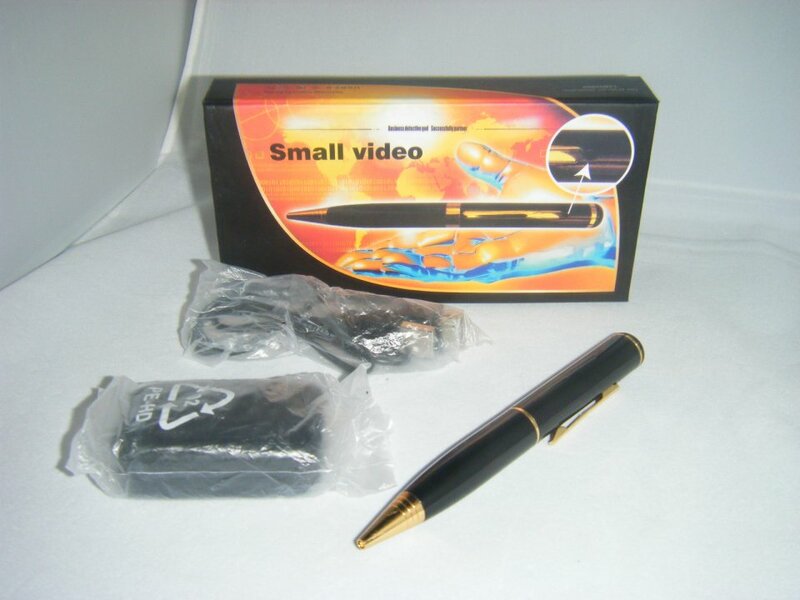 The new model Spy camera in the pen or Spy pen, has a built-in quality camera with resolution of 640x480 pixels that records video and takes photos of excellent quality. 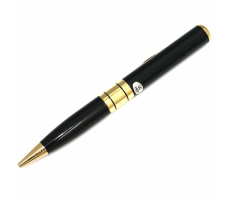 Spy pen is so well equipped with a microphone, integrated rechargeable battery and internal memory in size of 4 GB. This new improved model has even better quality of video recording, takes photos and has a larger button for comfortable work with a pen. 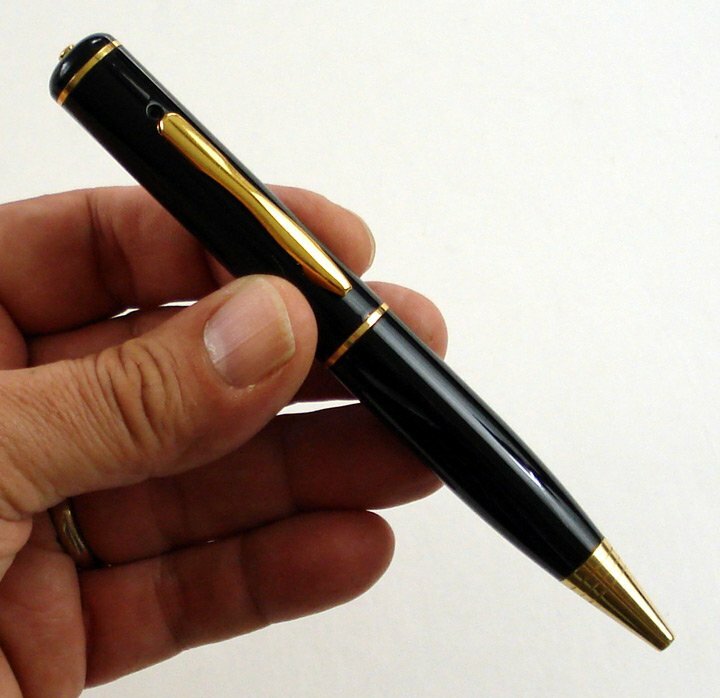 Control of Spy pen is very easy - just with one button. Recordingbegins by the button on the top of the pen, typewriter, second press will stop recording. Turn on and recording is signalized by orange and blue LED indicator on the opposite side of the pen than the camera, so lights are hidden from the eyes of the surrounding area. Individual videos are stored to internal memory in the form of the date and time of recording in the file name. Charging can be carried out either from USB port or USB charger that is included. When connecting to a PC, device can used as well as classic Flash Disc for data storage. 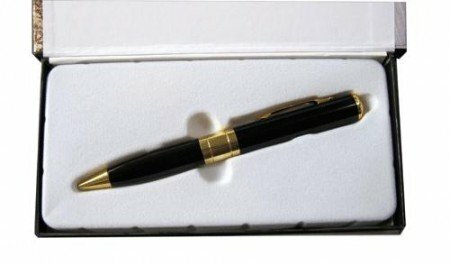 Mini DVR Spy Camera hidden in a pen. Suitable for any computer with a USB port. USB 2.0 standard and backwards compatible with USB 1.1. 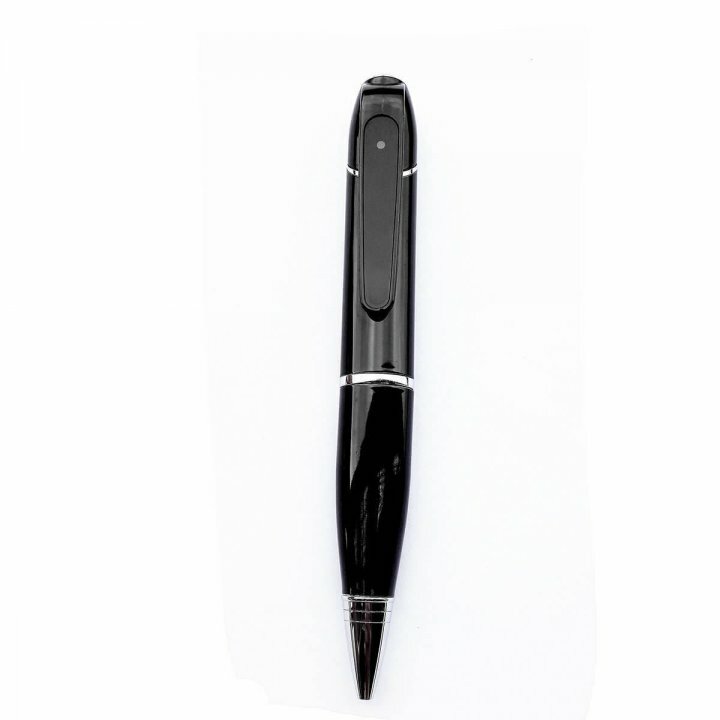 Writing pen is fully functional for writing on paper and the content can be refilled.